Can you guess how much this website costs? Did the site use a template or is it a custom design? What technology was used to build it? Was it made by the site owner or by someone else? 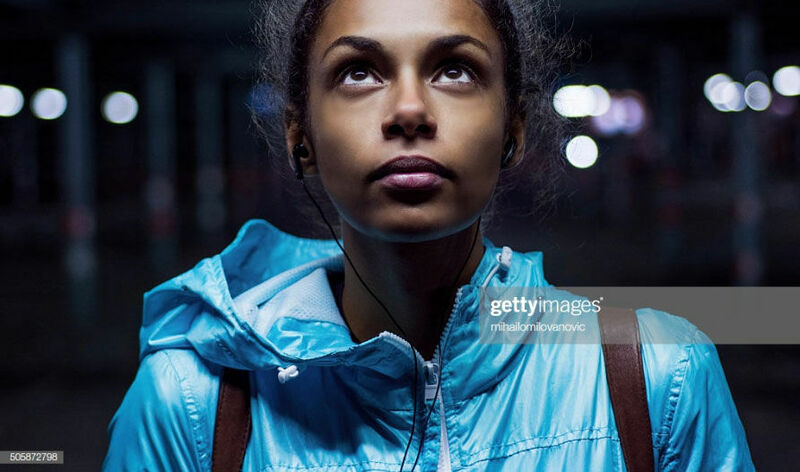 Are the images stock or taken professionally? What backend functionality does the site offer? Because of these variables (and many more), websites can cost anywhere between $0 for a personal website to $100,000+ for a custom enterprise site like Amazon.com. To simplify the process of costing a website, we will use live website examples to help explain the key concepts you need to understand in order to come up with an accurate estimate. At the end of this guide, you will be able to determine how much your website should cost and the best way to build it. Before jumping into the different website examples, let’s first touch on two important topics that we will discuss throughout the guide: recurring costs and one-time costs. For the majority of websites, recurring costs will range from a few dollars per month up to about $50 per month. The biggest decision that you will need to make is whether to host the site yourself or use a fully managed service. If you have the required experience to self-host your website, it will always be the less expensive option. Although hosting is fairly commoditized, with few differences between providers, there are certain features that can influence the price like access to customer support, storage capacity, performance, and guaranteed uptime. Here are some of the most popular hosting options that range between $1 and $20 per month. When hosting your own website you will also need to take into consideration the price of SSL certificates for security ($7-$250 per year) and the use of a content delivery network (CDN) to ensure your website is fast. Once your website is hosted and set up, you need to build it. Unless you are coding your site from scratch, you will need to use a content management system like WordPress.org, Joomla, or Drupal. Since all three options are open-source software, they are completely free. If you don’t have the required experience or simply don’t want to go through the hassle of hosting your own website, there are a ton of fully managed services to pick from. 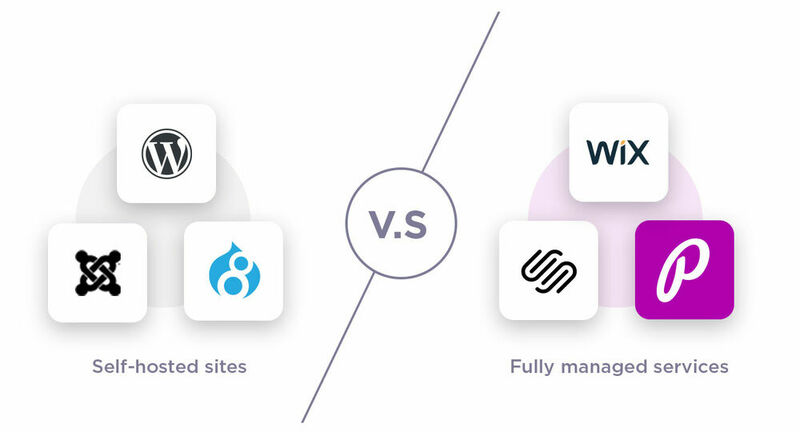 Both website builders and agencies can offer you a fully managed service where you don’t need to worry about hosting, security, performance, or uptime. The most popular website builders are: WordPress.com, PageCloud, Wix, Squarespace, Weebly, and Shopify. Plans range from FREE to $300 per month. The majority of the plans are between $10 and $30 per month and that price allows you to add a custom domain while removing any third party branding or advertising. Although you’re paying a slight premium over hosting the site yourself, the real cost benefits are apparent when you start building the site. More on this below. On the other hand, agencies and freelancers can set up and maintain your website for a monthly fee. The costs can vary dramatically from a few dollars per month to a few thousand dollars per month. Ultimately it comes down to time: How much time from a professional does your site need to operate well? Regardless of how you decide to host your website, you’ll need a domain name. Generally speaking, this is very affordable at around $10-$15 per year. Note: In certain cases, these features are included with your website building platform or can be added later through a third party solution. Recurring fees for a website are generally pretty low. They should grow proportionately to the size, complexity, and requirements of your website. If you’re wondering why websites can cost $5K, $10K or upwards of $50K dollars, it’s because of the one-time costs related to professional services and content included within the site. This is what we will cover next. If you aren’t relying on a free template or customizing your own website design, you will run into one-time costs that will need to be taken into consideration. feedback from experienced web designers and developers. Most premium website templates are built for WordPress and cost between $30 and $300. You can find them on sites such as: ThemeForest and TemplateMonster. Many of the theme providers offer bundled services where you get access to all their premium themes for a one-time fee. At the same price point, you will find templates for website builders such as Squarespace and Shopify. Note: you won’t find many premium themes for flexible website builders like PageCloud and Wix because they make it so easy to make a custom website without any coding knowledge. The low barrier to entry makes custom templates less valuable. When you hire an individual or a company to build you a custom website, you are essentially paying for professionals services at an hourly rate. Therefore, in general, the more people involved, the pricier your project will become. For simple websites, you might be dealing directly with a freelancer who takes your project all the way to completion. In general, freelancers like this will charge between $25 and $150 per hour based on their experience level. For complex websites, you could be working with a project manager, marketing strategist, user-experience specialist, copy-writers, designers, developers, and more. This type of agency offering will charge you between $50 and $200 per hour based upon who is involved. For example, project managers will be at a lower hourly rate than senior developers. 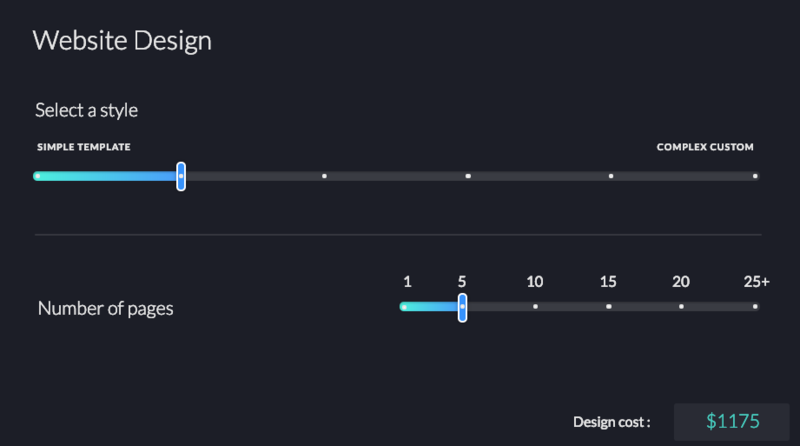 Another element to consider is what tool the designer will be using. If they design your site with Photoshop or Sketch, you will need to pay an additional amount to get your site built and published online. If they can design it directly with a website builder, you can bypass most or all of the costs associated with development. To help estimate the design costs of your project, feel free to use the Website Cost Calculator App that provides you with industry averages based on the design complexity and number of pages required for your site. 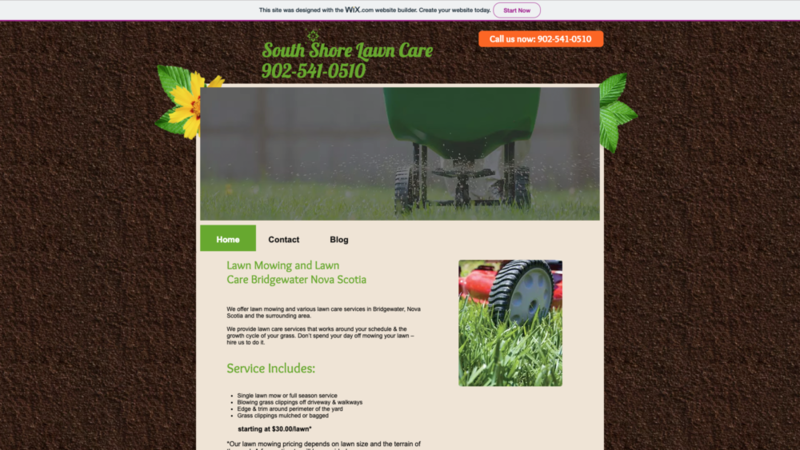 The other big expense for custom websites is adding features and functionality. Once again, costs can vary dramatically based on the scope of work and the tools being used. Pro tip: Detailing your website requirements and design expectations (by providing website examples) will help professionals accurately cost your website project. If you skip this step, you may need several revisions and could easily run into unexpected costs down the road. Regardless of how you decide to build and host your website, you will need to fill it with content (images, videos, and website copy). Now that you’ve got a good sense of the difference between recurring and one-time costs, let’s take a look at some actual websites and their cost breakdowns. All prices are in $USD. 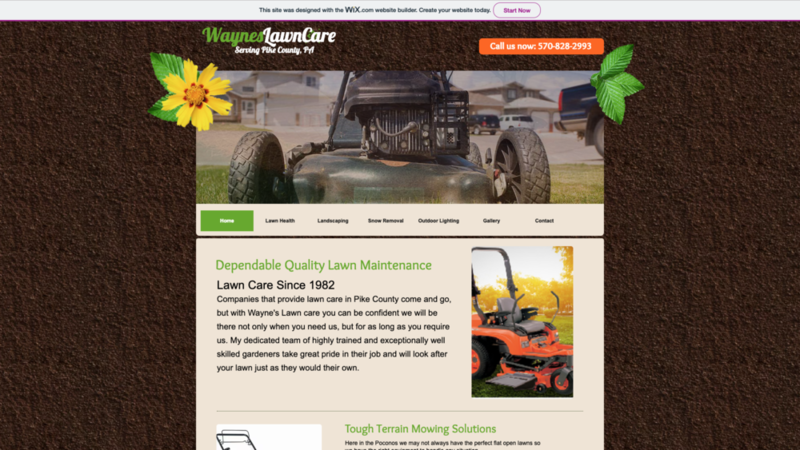 Website examples have been sorted from lowest to highest cost. Cost for domain names have been excluded. Our opinion: If you’re looking to start a blog or personal website and don’t have any previous website building experience, WordPress.com can be an interesting option. You can pick a free template and fill in the blanks without having to worry about designing your site. However, we’d recommend that serious businesses upgrade to a premium subscription that removes advertising and that gives you access to connect a custom domain. Our opinion: Free Wix sites are hosted on a subdomain and come with Wix branding. Once again, we’d recommend upgrading to a paid plan if you own a serious business. 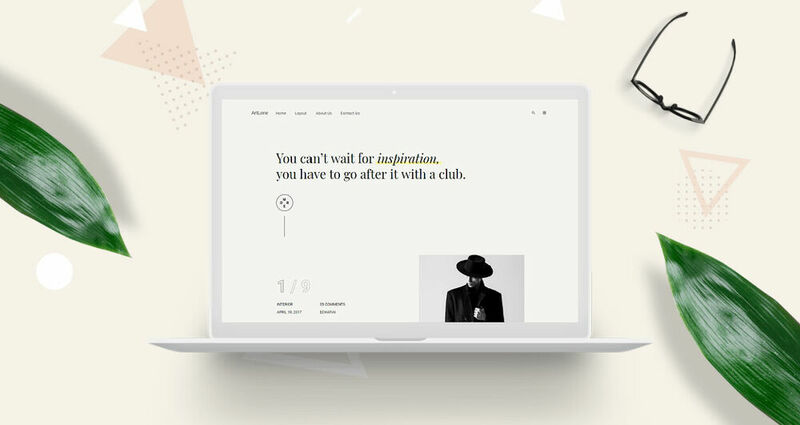 With Wix, you get full control over your design without using any code. 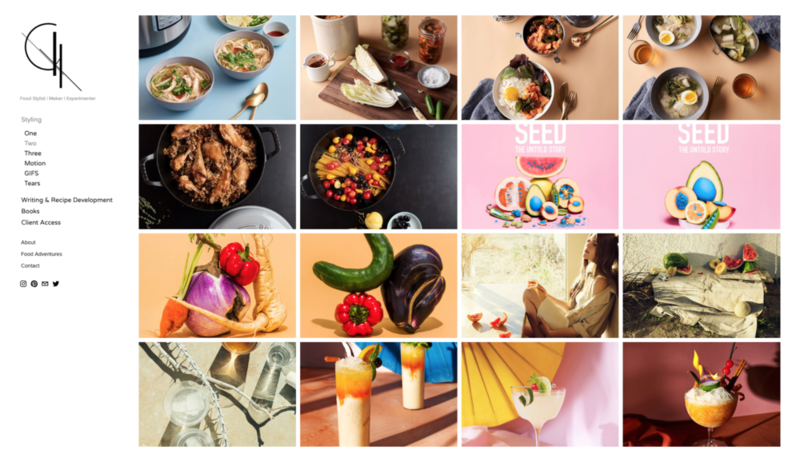 Although it is possible to create stunning websites with Wix, the two examples above showcase what happens when a below-average template is selected and the user does not follow design best practices. Our opinion: Template based website builders like Squarespace allow people without coding experience to quickly build an attractive website. However, the layout and design limitations caused by the template can make customizing the site costly down the road as it requires the manipulation of code. This is true for many website builders such as WordPress.com, GoDaddy, and Shopify. When selecting your website builder, always choose a solution that fits your experience level and the goals of your website. Our opinion: If you have a very limited budget, we’d highly recommend starting off with a template and then paying to have it customized to fit your specific needs. This is especially true when building on a template-based platform like Shopify as design and implementation can be costly. 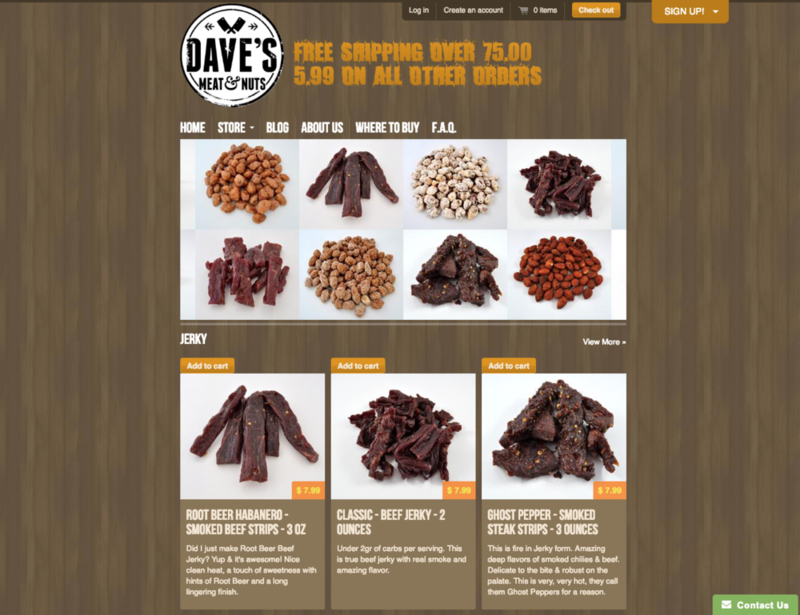 In the example above, a friend of the site owner was able to modify Shopify’s “Radiance theme” into Dave’s Meat & Nuts in less than half a day. Despite the fact this site is not the most attractive, building it from scratch would cost thousands of dollars instead of a couple hundred. Our opinion: Trying to build a low cost custom website on a CMS like WordPress can be risky. 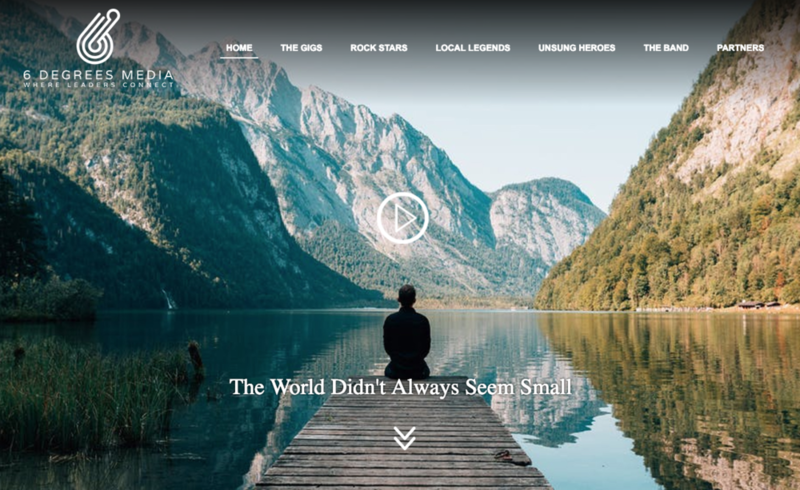 Often you end up with a site that looks like the one above: a big hero image that looks awesome and then the rest of the website that falls flat. When you start navigating through the pages, you can see that the same template is used over and over again. So when you break it down, this is a two page design that costs $610 and doesn’t even provide an SSL certificate (https) which will hurt the site’s performance in search. Alternatively, this site could have been built using a website builder or by simply choosing an attractive template and filling in the blanks. Our opinion: An emerging trend in the website builder market is the use of DIY platforms by professional designers in order to quickly build custom websites that the end customer is able to manage and modify however they like. 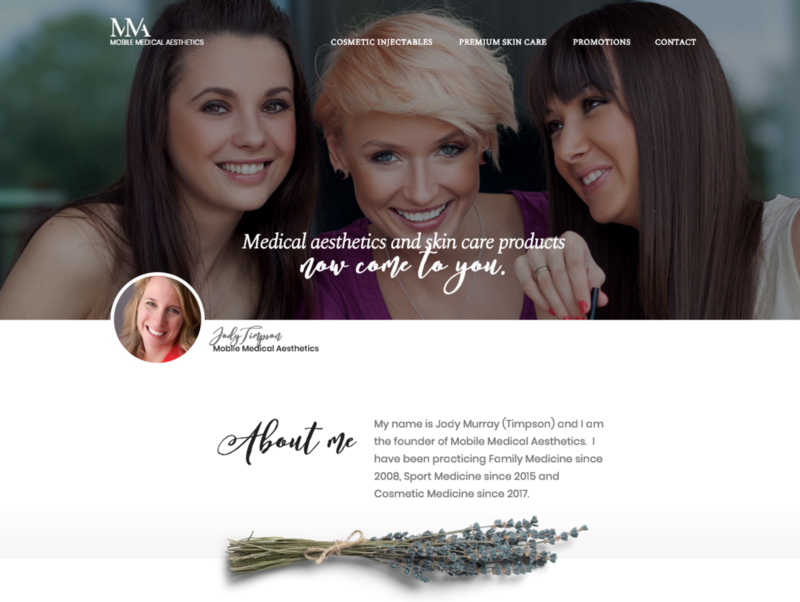 A similar design to this one built in Photoshop and then implemented in WordPress would cost upwards of $1,500 and would not give the customer full control over their site’s design. Do you want a site like this one? Hire a PageCloud Pro today. 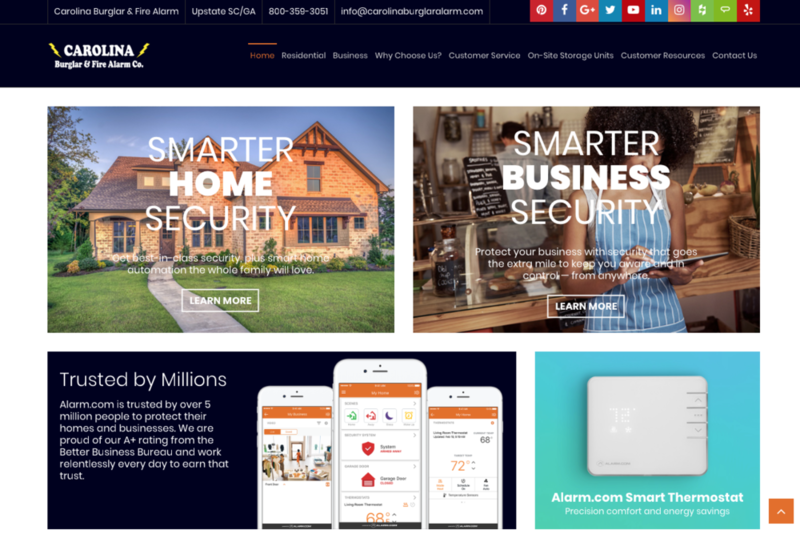 “The Average Cost Custom Website - Using CMS” - Carolina Burglar & Fire Alarm Co.
Our opinion: If you look at the website industry, this is one of the most common use cases. Small businesses that build their sites through agencies will typically spend between $1,500 and $5,000 on their site’s initial construction. Then, most agencies will charge a retainer fee that covers the costs of hosting and managing the website (software updates, etc.). This can be a good option for business owners who have a budget for their website and don’t want to be too hands on. Our opinion: Building e-commerce websites on a CMS is always reasonably pricey. 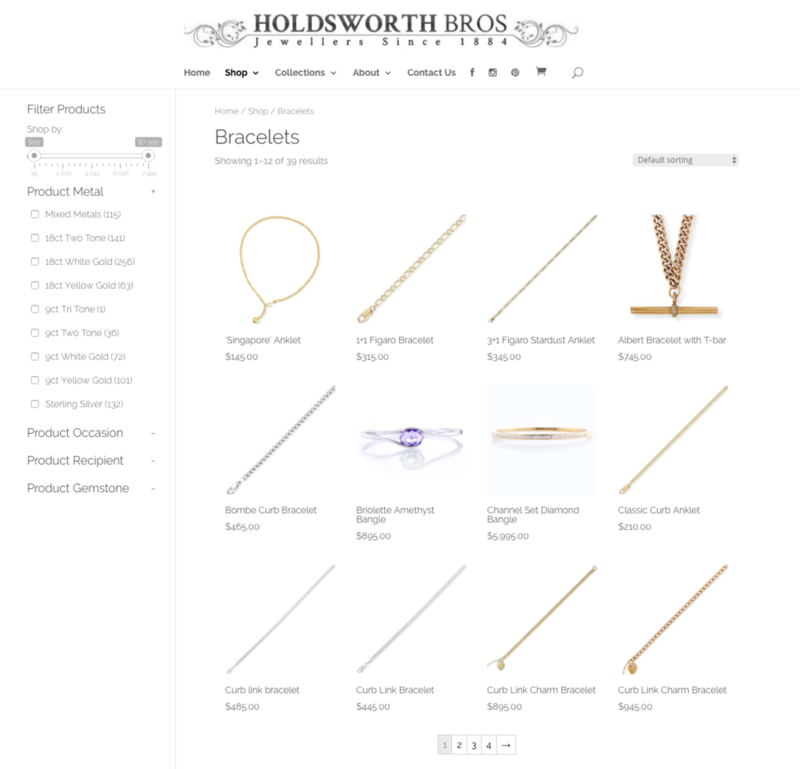 Even though the site in our example uses WooCommerce (WordPress’ most popular ecommerce plugin), it still ended up costing $8,000 without going through an agency or having an award-winning design. New businesses that are just getting into online sales typically start off with a plug-and-play solution like Shopify or Squarespace to get their site up and running quickly and to keep their upfront costs low. Then, if the need comes, some will decide to build a site that they host themselves in order to save on hosting and commission fees. Our opinion: If you’re willing to pay, there are a few niche website platforms that make it easy to get a professional site online that covers all your needs. 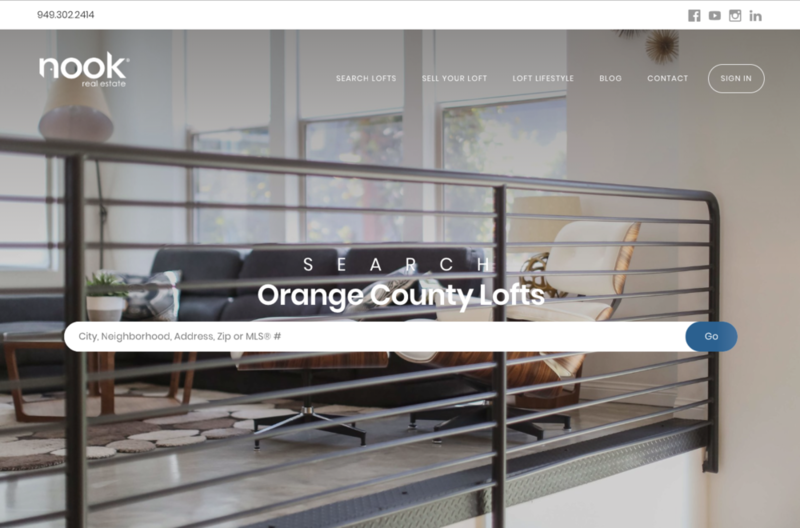 For example, Real Estate Webmasters have positioned themselves as the leader in the real estate market by building websites that drive qualified leads and that rank high in Google searches. Because leads are so valuable to real estate agents, they are willing to pay top dollar for this type of website. Simply modifying a pre-built template can cost over $6,500 and require a monthly fee of $650 to host and manage your site. 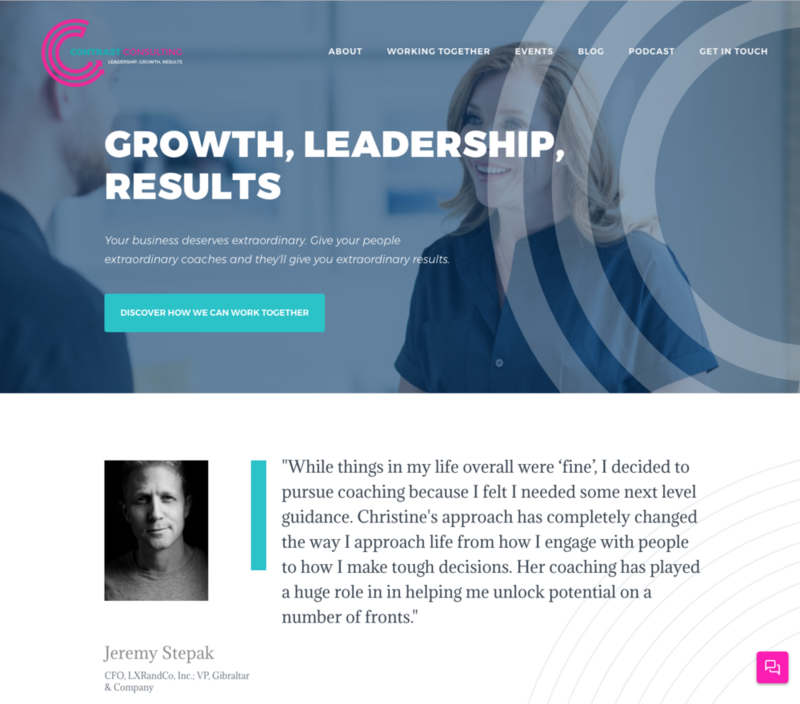 Our opinion: Even though Contrast Consulting’s website only has a few dozen pages, it was designed and developed from scratch by a high end agency called Filament Lab which explains the $50K price tag. When you break the cost down using their average hourly rate of $175, the site was built in about 300 working hours. Unfortunately, even at this price point, there are still some things that don’t work as expected. For example, the site doesn’t redirect to HTTPS so both Google crawlers and visitors end up on a non-secured version of the site. Because there are so many different ways to build a website, accurately costing a site can be challenging. This is why you get better at predicting costs as you learn more about websites and how they are built, and get a better understanding of the value provided by professionals or website building applications. Since every website project is unique, remember to get multiple quotes and to ask the appropriate questions so you are able to understand the design and development process used at each of the companies bidding on your site. If you’re looking to build your website yourself, click here to try PageCloud for free. If you’re looking for help from an experienced professional, click here to get connected with a PageCloud Pro.